With over $150 million (and counting) raised in crowdfunding since 2012 and still no sign of a finished product, Star Citizen is proving as controversial as it is ambitious. Things were looking extremely worrying for backers over the weekend when rumors - likely started by this NeoGAF thread - began circulating that claimed the game’s studio was in financial trouble. But it turns out this isn’t the case at all. 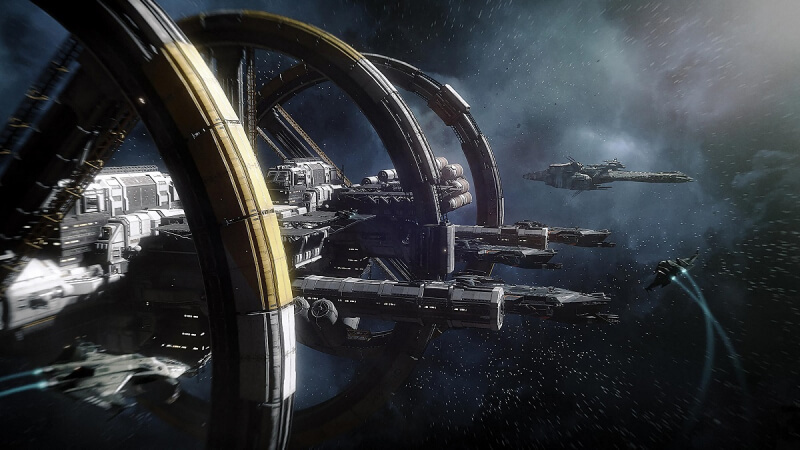 The incident began with the discovery that Foundry 42 Limited, the UK studio of Star Citizen creator Cloud Imperium Games, had taken out a loan with selective British bank Coutts & Co. Not only did this cause people to assume the firm was struggling financially, but the agreement appeared to put the entire company – Star Citizen and all – up as collateral, meaning the bank would “own” the game as a penalty for non-payment. However, Cloud Imperium Games' co-founder and vice-chairman Ortwin Freyermuth explained in a forum post that the loan was actually an advance on a tax rebate, thereby allowing it to avoid unnecessarily converting other currencies into pounds. "Our UK companies are entitled to a Government Game tax credit rebate which we earn every month on Squadron 42 [Star Citizen's single-player campaign] development," he wrote. "These rebates are payable by the UK Government in the fall of the next following year when we file our tax returns. [We] have elected to partner with Coutts, a highly regarded, very selective, and specialised UK banking institution, to obtain a regular advance against this rebate, which will allow us to avoid converting unnecessarily other currencies into GBP." "We obviously incur a significant part of our expenditures in GBP while our collections are mostly in USD and EUR," he continued. "Given today's low interest rates versus the ongoing and uncertain currency fluctuations, this is simply a smart money management move, which we implemented upon recommendation of our financial advisors." Freyermuth says the “prime collateral” on the loan is actually the rebate itself, and Star Citizen is excluded from the other collateral. The studio says the agreement is "absolutely standard" and "the UK Government will not default on its rebate obligations which will be used for repayment." According to financial experts, this is a shrewd move on company’s part that will save it a lot of money in what is a volatile currency market. But given Star Citizen’s history, it’s not too surprising to see people jumping to wrong conclusions. Last year, one Star Citizen backer called the project a “scam” and got his $3000 pledge back with help from the LA district attorney. The game received another delay recently when the 3.0 alpha that was scheduled for release at the end of June was pushed to an “aim date” of sometime in August.